Tennis fans are rallying behind Andy Murray to extend his winning streak over Roger Federer at the O2, after the Scot dismantled Robin Soderling in two superb sets in his opening match at the Barclays ATP World Tour Finals. Murray, who in the build-up to the event confessed himself to be feeling extremely fresh mentally and physically, brushed away the Swede’s challenge in front of an excited crowd in North Greenwich, standing himself in good stead ahead of the second round robin encounter with the former world No.1. The Scot has beaten Federer eight times out of their 13 encounters, most recently in the final of the ATP Masters 1000 event in Shanghai, and the final of the ATP Masters 1000 in Toronto. The Swiss’s last win against Murray came in the final of the Australian Open in January. 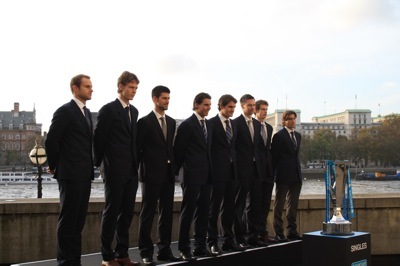 Murray takes on Federer in the afternoon singles match on Tuesday at the Barclays ATP World Tour Finals.